Suede is one of the most comfortable shoe materials and perhaps the most versatile one that one can own. Suede leather is made from the underside of animal skin and has a napped or furry finish to it. For this reason, it falls in between a dressy and casual category. Unlike shoes that are limited to formal (e.g. polished black oxfords) or are downright casual (e.g. sneakers), suede shoes span both categories and can be dressed up or down according to the occasion – such is the versatility of suede! 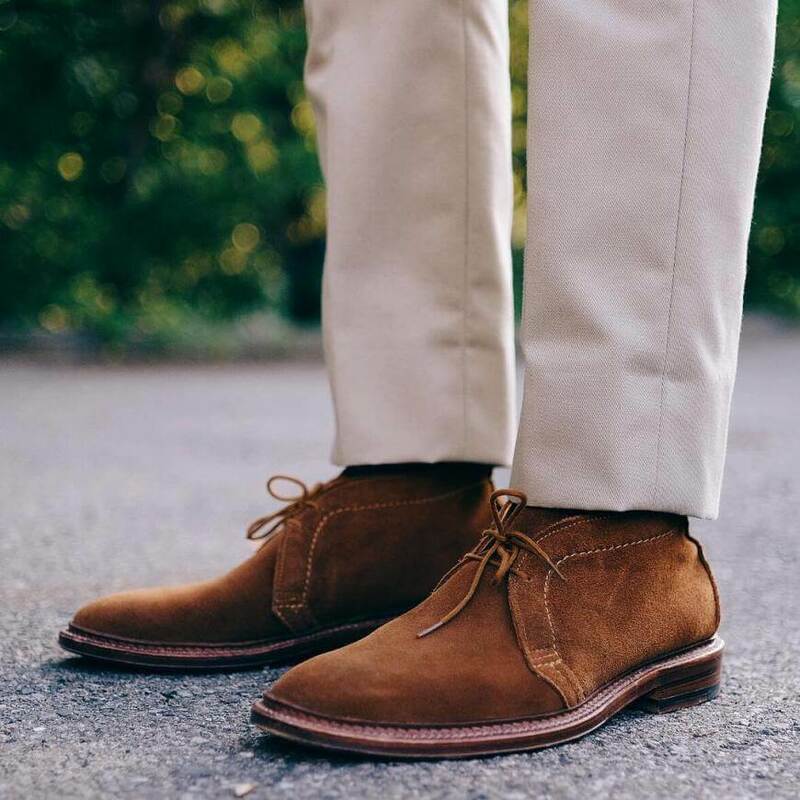 The most popular form of suede shoes is the Desert Boot, which has became popular in the 1960s but its popularity has persisted till today given its timeless design. Suede in nature is soft and velvety, molding to the foot and keeps its shape throughout its use. Despite its common misconception as a high-maintenance shoe, suede is one of the most easily-cared for shoe materials. All you need is to waterproof it and lightly brush it occasionally to keep it pristine. Don’t worry about using these as a travel shoe or wearing these to your next networking event (and drinks spilling on your shoes for that matter)! It’s breathable – Being a natural material, suede breathes easily as it has pores and water vapor evaporates from within the shoe itself. for a good waterproofing spray that will keep your suede shoes in prime condition! I’ve used this and watched as water literally beads off my suede shoes like a waxy leaf. This surprised me enough to wear it in wet tropical weather and in winter. Wear it in all seasons – While its original purpose was meant to be in used in the desert, suede can be worn in all seasons. 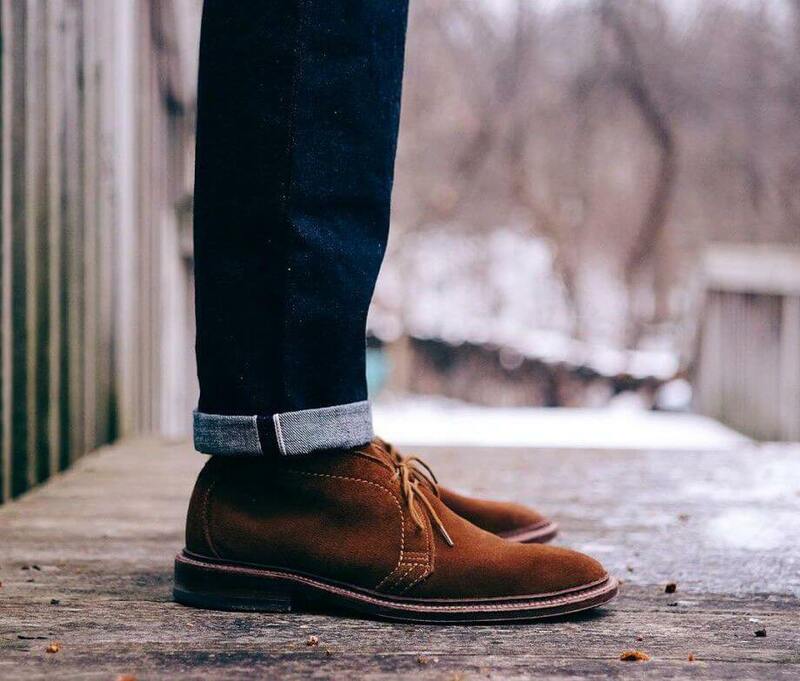 Choose unlined suede shoes for the summer and wear them with thick wool socks in winter. is a highly-rated suede shoe that is well below $100 and works equally well with jeans or chinos. It’s versatile – Just like a navy sportscoat, suede shoes are an essential part of the wardrobe and can be used in many occasions. It looks great – Suede stands out as a material because it looks just unique in its texture and it looks differently according to lighting and angle. Rugged yet elegant, oh that velvety, buttery soft material. Furthermore, it’s an uncommon footwear material for men. I’ve received compliments from my friends and colleagues on my plain ol’ desert boots (yes, women do notice what you wear).